What is the HolySheets Franchise? HolySheets: A Incredible Business Model with A FUN, Innovative and Dynamic System. The franchise market has been a big part of the small business community now for over 75 years and we all know of the brands that fit into the most commonly known market segments like food service and retail. But every once in a while, something new, fresh and completely innovative comes along. HolySheets is one of those new franchise ideas that fits this profile. As the founder and CEO of the company says best, we are the only brand in the world where you will say our name after experiencing the amazing opportunity HolySheets has to offer. Mr. Eric Yugar, HolySheets' CEO, is an incredible entrepreneur and one who never sits still. In fact, before developing the HolySheets brand, he invented a fitness platform that we now know as being one of the most widely accepted fitness franchise models in the world. His ingenuity and constant drive to do things better and more efficiently are what led to the HolySheets business model. He noticed that there were a wide range of retailers and brands who were in this market segment, but none who focused on the high-end, quality product lines that he wanted to deliver to the market. HolySheets is the culmination of decades of experience, an entrepreneurial vision to change a market place and a keen eye for market opportunity. HolySheets offers high quality product lines in a fun, upbeat and high energy retail environment. The brand is positioned to attract interest and drive home the fact that sleep is important and your body deserves better, HolySheets is the place that can deliver. The HolySheets management team has developed incredibly powerful marketing channels, branding and advertising platforms to distance the brand from others in the bedding retail market segment and present the level of premium quality products and customer experience inherent in the HolySheets business model. HERO Home Inspections opens up Orlando Florida. HERO Home Inspections is a top rated service that has been helping homeowners detect faults and defects for close to a decade. The company was voted best home inspection company in the Orlando area. The company uses the latest technology such as thermal imaging cameras, drones, and underground sewer scope to detect problems that other home inspectors would miss. The home inspection service comes with a 100-day warranty. HERO Home Inspections has certified home inspectors that adhere to the highest industry standards. They are licensed in Florida and abide by standards set by FABI (Florida Association of building inspectors) as well as NACHI’s code of ethics and standards of practice. FABI stipulates the standards for fee paid home inspectors have to abide by to deliver the highest quality of service. Julia Grandt runs the HERO Home Inspections business in Orlando, Florida. She has a background working for customer service under a fortune 20 company. Her family has had interests in engineering and construction. Having known HERO Home Inspections owner Greg Fowler and having seen the success of the business in South Florida, she decided to take the opportunity to buy the Orlando branch of the company. Julia has extensive experience in customer service. She loves to work with people from different backgrounds, which she attributes to the time she spent in her youth traveling to different countries and meeting people from different cultures. She intends to use her extensive customer service expertise and to provide professional technical knowledge in this field. After every inspection HERO Home Inspections will present a 35 to 45 page report to the client. This report includes pictures for documentation as well as remarks on the state of different the structures and systems in your home. In order to provide an accurate assessment of the problem, HERO Home Inspections the latest technology to pinpoint issues within your home. The client’s report will include bird’s eye view images of your roof taken by drones which can provide better visuals from multiple angles. An underground sewer scope can take photos of sewer lines and detect obstructions and cracks. Additionally, a certified home inspector has the expertise needed to use thermal imaging drones and translate the data so as to identify heating and air conditioning system issues within your home. Other services include indoor air quality testing, water quality testing, and evaluation of moisture intrusion within the home. When you hire other home inspection companies, the service ends as soon as the inspection is complete. With HERO Home Inspections you will get a 100-day guarantee at no extra cost for every inspection. Some of the warranties include MoldSafe, Platinum Roof Protection Plan, MoldSafe, and SewerGard. The warranty covers plumbing, HVAC systems, kitchen appliances, amongst others. You can apply online through the company’s website to get an extended six months warranty. HERO Home Inspectors continues to serve clients within Southern Florida and Surrounding areas. The company continues to deliver as is evident in the top rated reviews on platforms Angie’s List, BBB, and Yelp. There are a wide variety of franchise systems and different types of franchisors in the market at any given time. Many of these systems are excellent businesses but lack the leadership and vision at the top to make the franchise a solid investment opportunity. Other franchises have great leadership and offer excellent value propositions to the franchisees who choose to invest in their brand. Franchise Marketing Systems has worked with a significant amount of both new and mature franchise brands who have different leadership styles, methodology and ways of driving the ship. Although it seems there is not one type of leadership method that works best, there certainly is a perspective that makes all of the difference. 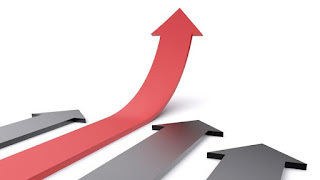 Franchisors who look at and treat their franchisees with respect and admiration realize the best growth rates and long term expansion of their franchise system while franchisors who lead with a short-term vision and focus on the transaction of selling the franchise tend to have shorter lifespans. When a franchisee interviews a franchisor to determine whether they should invest in a brand, our advice is to look at several aspects of the franchise relationship. First, a potential franchisee should figure out what the ROI is on the franchise fees and the royalties that they will be paying to the franchisor and what they will be getting in return. The franchisee should work to make the intangible aspects tangible and try to put dollar figures next to them. What is training worth? At corporate and onsite at the franchisee's location? How much ongoing support will franchisees receive and what is the franchisor doing for the franchisees after they open to justify a royalty? What strategic initiatives will the franchisor be undertaking to continue to add value to the franchise owners? Second, get a feeling for the morale and overall attitude that people have in the franchise system and how franchisees in the system perceive the treatment they receive from the franchisor and support staff. Does it feel like family or more like military? Is it a dictatorship or a democracy? You will get an impression of who you are dealing with after you spend time interviewing franchisees. Last, get to know the franchise marketing systems that are in place to generate new client activity, every good franchise system should have a way to promote the business and drive customer traffic. The theme is consistent whether you are looking at marketing, value proposition, training, support or other aspects involved in the franchise relationship, the leadership of the franchise needs to be aligned with the goals of the franchisees who are buying into the business. Franchise success is generally pretty simple in most cases, a successful franchisor needs to be able to accomplish two key things when building a franchise organization. One, be able to market and sell the franchise effectively by communicating a strong value proposition and committing to franchise recruitment. Two, help franchisees be successful and do everything possible to improve their bottom line in their business. 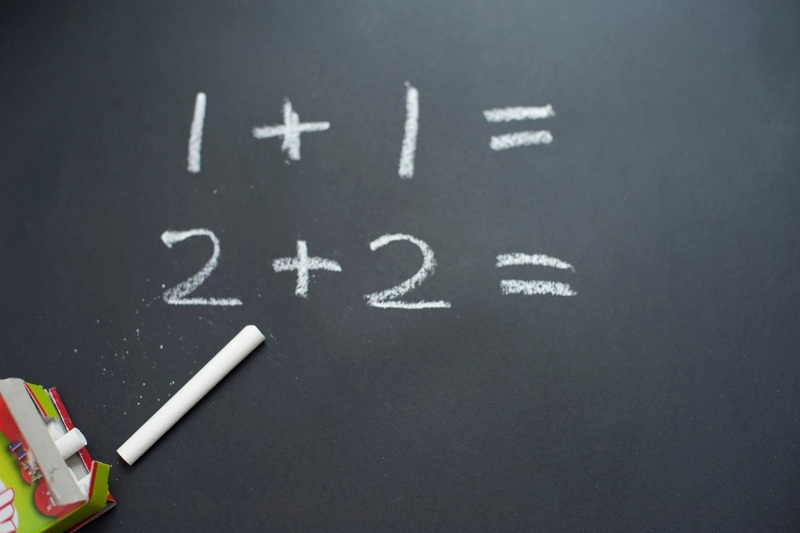 It seems like simple math, franchising should be easy right? 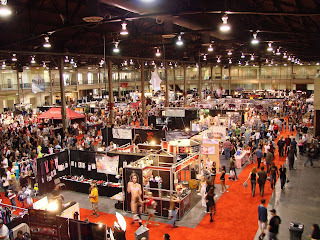 The New York Franchise Exposition was completed this weekend at the Meadowlands expo center. Overall, some great concepts, fantastic brands and another show that seems to be very well attended with people considering investment opportunities and new life decisions for starting a business of their own. Franchise Marketing Systems exhibited at the show and Mr. Conner was provided the opportunity to present on a relevant topic for the show, "Knowing the Difference Between a Franchise and a Start-up Business." Christopher Conner, President of Franchise Marketing Systems, presented on the topic to a group of 30 attendees on the relevant entrepreneur question for anyone considering a franchise investment. The discussion started with an opening question to the group, "as you walk the floor, the question you should be asking yourself as you interview each franchisor is whether you can do this yourself and what value would the franchise offer to you that you couldn't do on your own?" For anyone involved in franchise development, certainly this is a question that is broached frequently by potential buyers who are trying to determine what the value proposition of a franchise brand is and whether the fees are warranted. Mr. Conner pointed out that someone who makes a good entrepreneur is not necessarily a good franchisee and vice versa. Traits associated with entrepreneurs tend to be a higher degree of creativity, wanting to put your own stamp on things, ego-driven, difficulty following rules and a variety of other tendencies. Whereas a solid franchise candidate will be someone who exhibits traits more closely aligned with a successful employee such as job continuity, good grades and a rule follower. The discussion then took the discussion into a progression of steps that someone might take in considering a new business investment. The first step in this process was to do an honest self-evaluation and decide what your personal value proposition is to the market. The business review should start by researching markets and understanding where there is opportunity for growth. Writing a simple business plan with a SWOT analysis and market comparison would then allow the investor to consider all options and understand where the business model fit into the market. Once this plan was in place, capital requirements, market analysis and a business strategy would help clear the path for which business might make the most sense. Should that strategy take you into franchising, the questions to ask a potential franchisor should be aimed at determining whether a franchisor is geared for "awarding" franchises or "selling" them. The key to a positive franchisor-franchisee relationship as Mr. Conner stated started with the franchisor's focus and whether their passion was for the transaction or the success of the relationship. The FDD offers significant insight into these questions and would provide the content needed for a potential franchisee to avoid costly mistakes and make better business decisions. Christopher Conner wrapped the presentation with a series of comments focusing on a potential entrepreneur's understanding for how capital requirements worked and having a complete commitment to whatever business they chose to start working on. Franchising is a high powered marketing and business development vehicle. Brands that leverage franchising effectively are able to drive growth and brand equity at a pace unmatched with other business expansion vehicles. When you franchise your business, it requires a deep understanding and solid approach to marketing and sales. Not only the marketing and sales you do every day with your product or service, but now in selling and promoting your business and your brand. Franchise Development starts with having a great business model in place and a clear process for marketing your business to consumers. Be ready to present numbers and fact-based data which will present how you get customers, what the cost per conversion is and what proven methodology you've found to get the best bang for your marketing dollars. Great examples of this could be found with proven franchise systems like Schooley-Mitchell (www.SchooleyMitchell.com), RMH Business Solutions (www.RMHBusiness.com) or LifeLine Repairs (www.LifeLineRepairs.com), these are all businesses that have defined, proven and tested their customer recruitment models and when a franchisee goes to market, they have a good plan in place to start their area and get their business up and running. Next, Franchise Development is all about a marketing and sales mechanism for promoting your brand and business to new potential franchisees and business investors. This requires a franchise marketing budget, a clear plan for how you will present the business model, what the value proposition to the investor might be and a franchise marketing system that will hit the market with a pop. Some of the best new franchise launches that we've been a part of include companies such as Mosquito Terminators (www.MosquitoTerminators.com), Creamistry (www.Creamistry.com) and Flower Tent (www.FlowerTent.com). Each of these brands approached the market differently, but all had significant growth and strong results from their franchise marketing efforts. Mosquito Terminators focused entirely on internet lead generation primarily through portals and online lead gen platforms. The brand sold 180 franchises in the first two years of marketing and had what anyone would call a fantastic launch. Creamistry launched their franchise brand with a really significant showing at the Anaheim, California show with a replica ice cream shop as a booth and a prime placement at the IFA convention. This show alone helped the brand sell the first 20 franchises and today, the system has sold over 300 units after only three years of franchising. Flower Tent focused their marketing efforts locally and organically by leveraging suppliers, existing franchisees and current relationships the system was able to promote internally and get established quickly. Today, after five years of franchising, the Flower Tent brand has in excess of 120 franchises. Whatever your brand or your approach to the market, you need to have a good plan in place for both your consumer marketing and your franchise marketing system. The budget needs to be there, the plan for execution needs to be in place and your willingness to keep yourself accountable needs to be intact. Franchising works, it just takes execution to get the system moving. Franchise Marketing Systems exhibits at franchise shows on a regular basis in order to support new franchise development efforts and also to market to potential business owners looking to franchise a brand out into new markets. This coming year is no different, a significant push is being made to target high growth markets and work diligently to focus on areas where potential franchise business opportunities exist for clients and for new franchise brands. September 24th and 25th is the first time that Franchise Marketing Systems has sponsored an entire exhibition and will be holding what is called the Franchise Pavilion as a way to increase exposure for new franchise brands and offer an aggressive booth program for new franchisors where franchise marketing budgets are lean. Through 2016, Franchise Marketing Systems will be exhibiting at 6 Tradeshows in Minneapolis, Fort Lauderdale, Orlando, Atlanta (x2) and Raleigh North Carolina. The 2017 Tradeshow circuit for Franchise Marketing Systems is even more aggressive with 36 shows on the schedule including several Canadian markets (Montreal, Toronto, Halifax, Calgary and Edmonton). At most of these shows, Christopher Conner, Franchise Marketing Systems President, will be presenting on either How to Franchise Your Business or how to make the transition from employee to business owner. 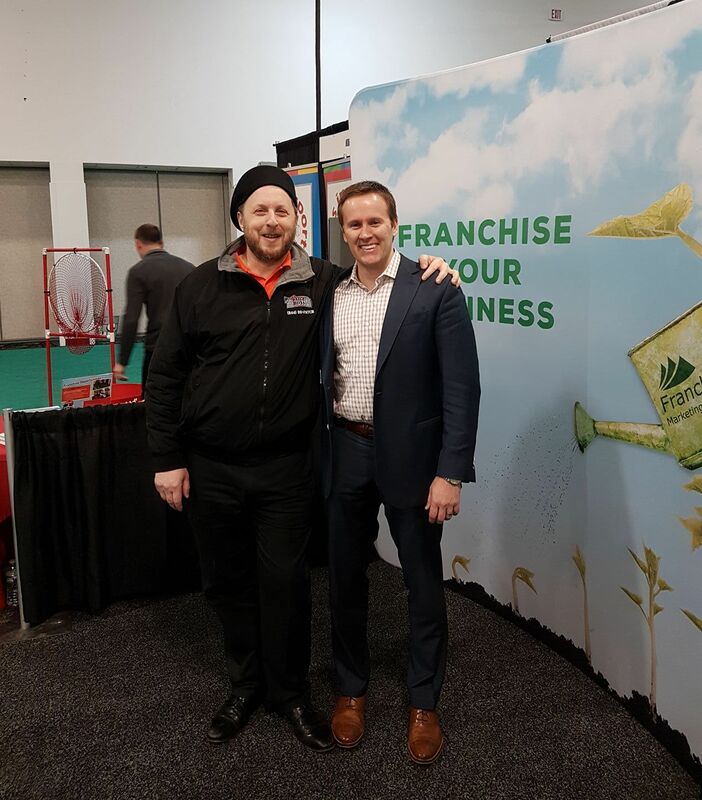 The shows offer free workshops to attendees on business topics and franchising allowing visitors to benefit from meeting the franchise brands that exhibit at the shows in addition to leveraging franchise industry professional's insight and experience. The franchise shows will be staffed by several of Franchise Marketing Systems team members and generally a handful of FMS clients will be exhibiting at the shows as well. Mr. Conner will typically be at all of the shows and works closely with clients to make sure that the exhibition runs smoothly. Franchise shows will vary in size and cost, all depending on where the show is located and who is putting on the show. Some shows are industry specific as well and will only make sense for certain franchise categories (restaurant shows for example). If you are considering marketing your franchise brand or would like to investigate franchising, Franchise shows make a great venue for either. There are very few ways to get in front of as many people in one place as you can at a show. Franchise shows create an exceptional place to meet a large group of people in the industry, get to ask questions and really dig into the franchise business as a whole. Franchise Marketing Systems is always able to get free passes for guests to the shows, if you are in a market close to a show or would like to travel to come see us, email Chris Conner at Chris.Conner@FMSFranchise.com. Over the last few decades, the global business sector has seen a rise in the mobile business and franchise enterprises. Almost every industry has embraced the two concepts that give high efficiency and better return on investment. From medical services to shoeshine businesses, snacks delivery businesses and online shopping, consumers can get what they need right at the door. On the other hand, the ability to localize supply for essential commodities plays a significant part towards enhancing availability. It is the most critical of all factors, as new businesses ought to define their territory, and delve into the factors that might spur the operations or derail them. There is no blueprint on how businesses should operate, as each system is likely to work in a unique way to attract clients and promote continuity. Most systems may annex the map into the contract with others making a detailed description of the region. With most of the mobile franchises being service based, issues such a relocation of loyal clients, acquisitions in different territories and advertising limits are likely to cause a hitch in the business model. The mobile franchise cannot wish away the need for an active transportation system and services. It helps bring closer products and service to the people. Most industries require the enterprises to keep their vehicles current and upgraded which means they have to replace at given intervals to maintain the professional look of the company. It calls for potential investors to look at the vehicle age requirements, as it is likely to impose significant costs during the upgrade. A vast majority of the franchise system is owner operated and family run businesses. In such instances, employees can only work directly with the proprietor of the enterprise. In other models, the company can allow the owner to employ staff and give them transport facilities to cover an extended territory. The ability to recruit staff is vital for businesses that offer services for long periods of time such as shuttle services. If the franchise territory warrants multiple operators to serve a growing demand and the system is owner operated, the company can slice the area and recruit more franchisees to maximize the sales. It is vital to understand whether the companies allow them to hire extra labor to serve the growing demand. Unlimited upside is one of the strong suits of this particular franchise niche, a good operator is not captive to their location like they would be with a fixed location franchise model. The ability to go out in the field and find the work when and where they choose makes the mobile franchise concept have a strong potential for growth, even in a single unit franchise territory. In our time working with franchise systems and developing franchise brands, the mobile market has been one of the strongest and most innovative, it continues to bring new ideas to the franchise market every month it seems.